MasterCard is one of the most globally recognised and trusted payment methods, and is often favoured as a deposit method by online gamblers. Find out more about MasterCard’s availability at online casinos and how you can use your MasterCard to make instant deposits using your local currency at the world’s best online casinos. 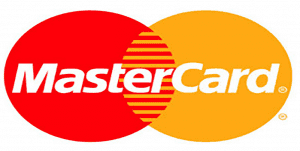 MasterCard is a widely accepted deposit method at many of the world’s best online casinos. However, keep in mind that its availability varies depending on which country you’re playing in. When signing up for a new online casino account, always check the deposit methods that are available to you in your local currency before making a deposit to ensure you avoid any disappointment. Sign up for a new account using our links to get access to some exclusive welcome bonuses that include matched deposit bonuses, free spins and instant membership to the casino’s loyalty rewards program. Once registered, head to the casinos deposit or banking section. Select MasterCard as your chosen payment method. Complete the necessary fields by entering your credit card number, name and CVC number, along with the amount of money you wish to deposit to your casino account. Follow the prompts to complete your transaction and funds will appear in your account instantly, ready for you to enjoy the wide range of real money games on offer at your chosen casino. Many online casinos will give you the option of saving your MasterCard details for future use, so next time all you’ll need to do is enter the amount of money you wish to deposit and Bob’s your uncle. Did you know that MasterCard also offers a range of pre-paid options? If you don’t have access to a line of credit or are simply wary about handing your credit card details over online, you may want to consider making a casino deposit using a pre-paid MasterCard. 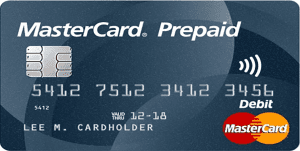 These pre-paid cards are accepted worldwide anywhere that MasterCard credit cards are accepted, and you don’t even have to have a credit check or bank account to use one. MasterCard pre-paid cards can be purchased from banks or retail outlets, and all you need to do is add funds to the card when you buy it, or you can transfer money to it online. Simply register your card with your personal information and you’re free to use the card just like you would a MasterCard credit card. The biggest benefit of depositing using a MasterCard is the reliability and trustworthiness of this globally recognised brand. It’s widely accepted by online casinos and provides a simple, uncomplicated way to make an instant deposit. All MasterCard transactions are also protected by MasterCard’s Zero Liability Policy, where they’ll never hold you accountable if unauthorised payments are processed if your card is lost or stolen. However, there are some downsides to depositing with MasterCard, like the fact that how much you can deposit at any one time will be restricted by daily transaction limits. This won’t be an issue for the majority of casual players, but it may be a hindrance to high rollers. In addition, some financial institutions don’t allow credit card transactions to online gambling sites, which is entirely dependent on each individual bank, so if you’re unsure check with your MasterCard issuer for further details. Paysafecard – Paysafecard now incorporates the old Ukash brand, providing a safe and anonymous way for players to gamble online. Paysafecard’s are purchased using cash from real life retail outlets all over the world, and in exchange you’re given a voucher with a unique 16-digit code. That code can then be entered at an online casino in order to transfer your pre-paid cash to your casino account. There’s no link back to your personal identity, nor do you need to have access to a bank account or line of credit to use this service. Neteller & Skrill – These two payment options are amongst the most widely trusted web wallets accepted by online casinos. Both Neteller and Skrill provide a safe place for you to store your money online, which can then be transferred to your online casino account without having to reveal any of your financial information to the casino vendor. Simply sign up for a secure account with Neteller or Skrill online, transfer money to your web wallet, then use your login details to transfer that money to the casino. This also makes it easy to transfer funds to multiple casinos without having to reveal your persona financial details multiple times. Direct bank transfer – Many online casinos allow players to make a deposit directly from their bank account, which you can do with the help of Internet banking or by visiting your local bank branch. While bank transfers are safe and secure, they typically take a few days to process, which can be a bit of a hassle if you’re keen to start playing for real money right away. Other safe payment options accepted at our recommended online casinos include Visa, PayPal, Entropay, ecoPayz, GiroPay, iDebit, Euteller, personal cheque and many more. The deposit options available to you will depend on the venue and your location, so head to the FAQ or banking section of any casino for further information, or read any of the detailed casino reviews on our page. Want to play for real money online using MasterCard as your deposit method? Sign up for an account at Royal Vegas Casino where new players can claim up to $1200 in matched deposit welcome bonuses.